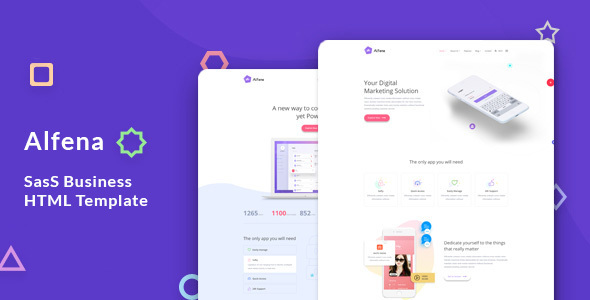 Alfena is a powerful Easy to Use, Highly Customzable SAAS /Digital Agency / Multi-Purpose Template , built with latest Bootstrap.The template comes with a lot of layouts for blog pages, services, landing pages and others. This template is a highly suitable template for companies that offer SEO services as well as other internet marketing related services. It has purpose oriented design, responsive layout and special features like 2 different landing pages, blog layouts, gallleries, services and pricing tables. Radium can also be used for multi-purposes. What ever you are using the device your site will run as it should be. The Industries template is fully responsive layout for all type of devices. The Abcus template coded with beautiful and clean codes! Some powerful HTML files 100% valid W3 web standards.